Although I've known Heyer's name for years, I only started reading her work in the last few months. 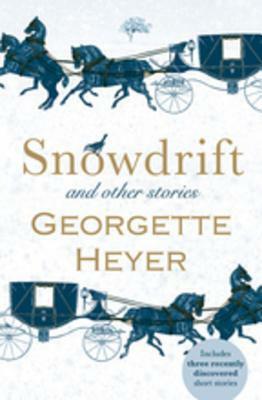 So far, I have loved it all, and Snowdrift and Other Stories is no exception. That said, I think I do prefer her longer works, where she has more time to develop plot and character. These short stories are perfectly enjoyable; however, they didn't grip me as much as her novels. Nonetheless, they make delightful evening reading, and you can dip into a story each night if you are short on time. If you are an established Heyer fan, you'll love these little tales, but if you are new to Heyer's work, I would recommend trying one of the novels first and then coming back to these shorts. Overall, a wonderful Regency-era read.